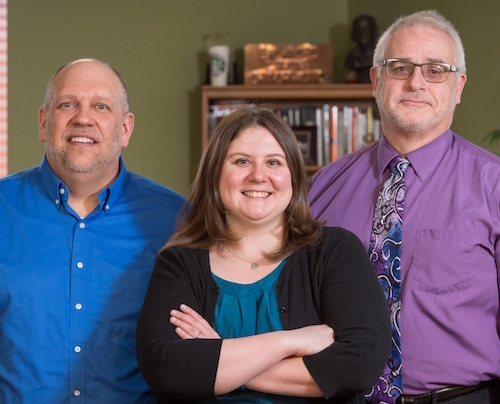 Dr Steve Nieniec, Dr Katelyn Niemiec-Klimek and Dr Kevin Phalen are ready to help you! Here at Balanced Living Chiropractic Wellness, we have one mission, one purpose and one goal…your natural health. Visit us and see what sets out chiropractic team apart from other Amherst chiropractors. You will be glad you did! We look forward to meeting you soon. We find that some of the most common stomach problems are patients suffer from are: acid reflux, digestive complaints, irritable bowel, Crohn’s disease. We want to help! While some conditions result from intrinsic problems to the digestive system itself, often there is a nerve component originating from soft tissue irritation on the spinal nerves which serve the digestive system. Many patients find relief from somato-visceral problems related to the digestive tract. Many cases of chronic headaches arise from spinal imbalances in the upper back and neck due to prolonged desk and computer work so often associated with today’s jobs as well as student life and recreational computer use. Spinal problems rarely get better on their own. Call our Amherst chiropractic office to get started with care today!